Kitten would like Human to stay home and play in the garden today. Alas, Human has to work to pay for expensive cat food. Kitten merrily running around playing until Human left. Then sad face watching from the grass. 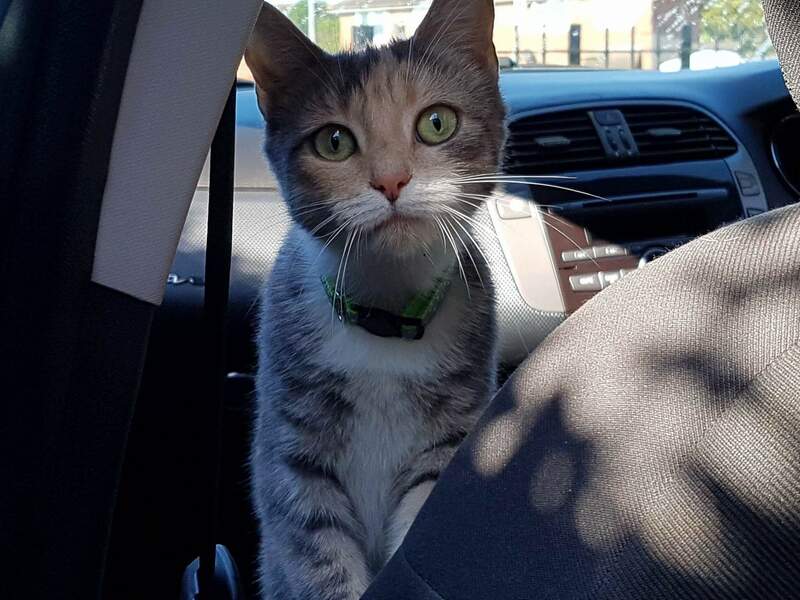 Willow, don’t go in the car! They might bring you to the vet! Or worse, the dog park! You should go run around more; catch mice and stuff. Maybe even a bird or squirrel, if you’re lucky.